Alan is an interesting character. Met him through the Computer Trainers Network. More and more we're discovering mutual interests. One of these is astronomy. We're hoping to participate in some more events together. So we contact each other when notable and interesting things are coming up. 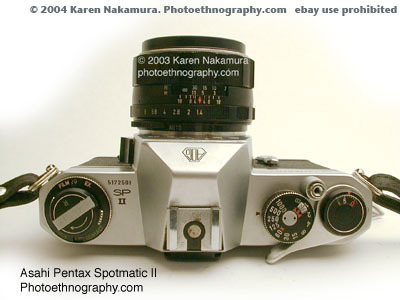 A number of years ago, I bought a second Pentax Spotmatic body to extend my camera system. I chose a similar type, of course, so to be compatible with my existing lenses. At the time, my thinking was that this would allow me to be more versatile in my regular (terrestrial) photography. I could, like pros do, have different films in each body. In particular, there were times where I wanted to shoot both colour and black and white. It occurs to me now, that with two bodies, and a variety of lenses, that I can be versatile with astrophotography too. I can have a camera body strapped to the telescope directly (with one type of film). And I could also be shooting some wide-field (or tracked) images with the other camera and its own lens (again with different film). 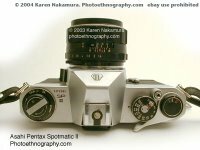 These camera bodies, while old, support "B" or bulb mode without using the battery... Perfect for astrophotography.